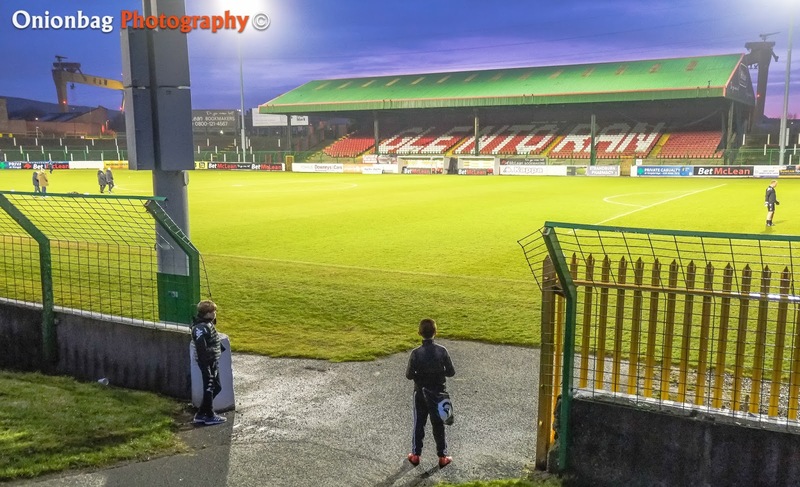 Quite simply a visit to The Oval , home of Glentoran FC is as good as it gets. The place just wreeks of history . From the moment you turn into Parkgate Drive and the 'Old Lady' comes into view you are immediately spellbound. 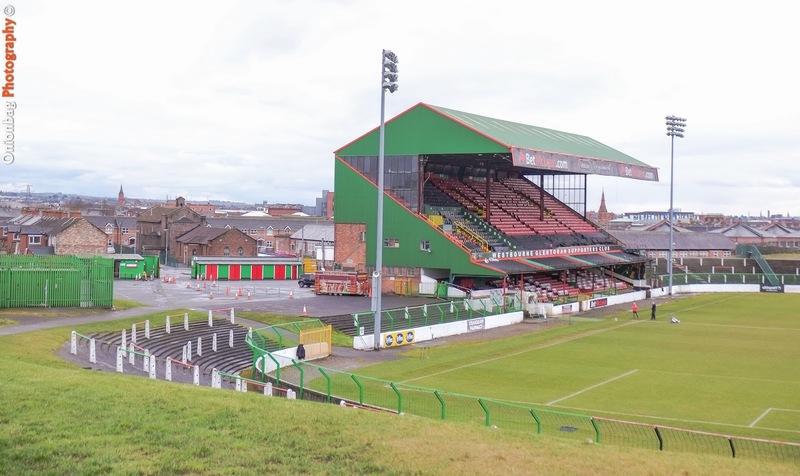 It feels like you are making a pilgrimage to football mecca. 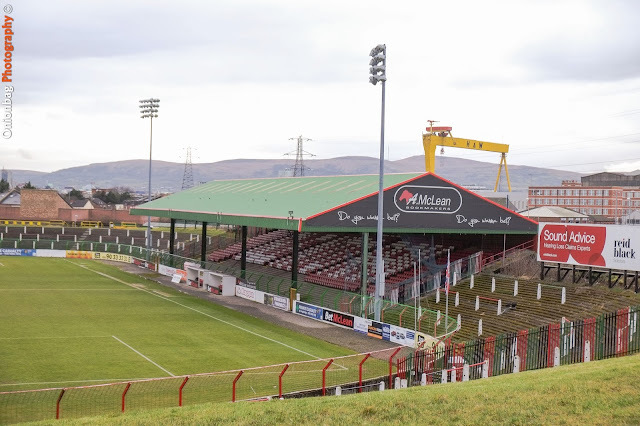 The massive main stand overpowers you and you can literally smell the bygone European night matches as the history simply overpowers you into submission , even when the stand is empty. As i was just standing in awe , i heard a voice from high above from a small window welcolming me "I'll be down in a second OB" . It was the Club Secretary Ricky Rea. What a fantastic man Ricky is. His passion and love for the club is just amazing. 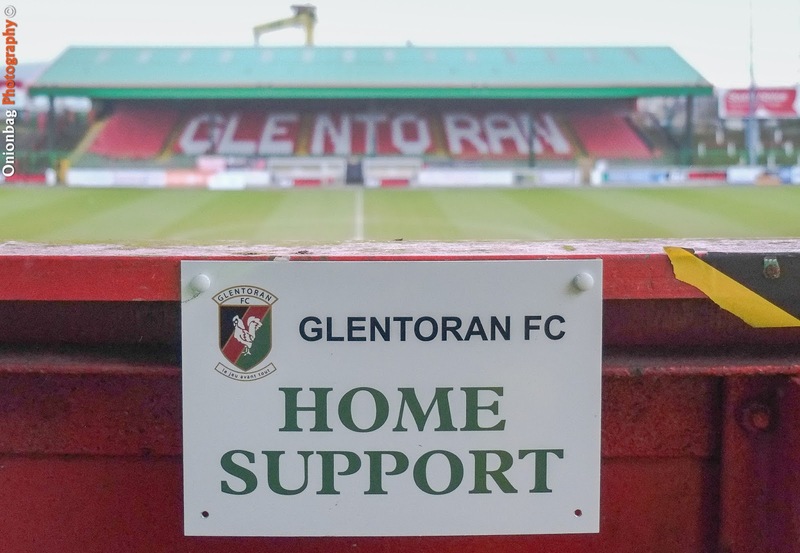 His stories of supporting the Glens as boy and man are just fascinating. He fondly recalls the European nights in the 60's v Benfica , Juventus etc and how the atmosphere in the packed ground is something he will never forget. 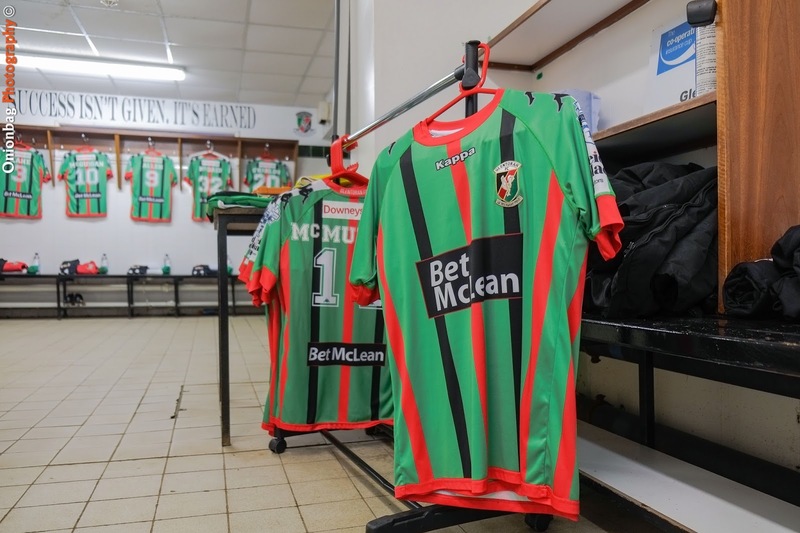 Ricky told me that Glentoran were the first club to go out of a European competition on the 'away goals rule' when they drew 1-1 at home to Benfica and in the 2nd leg drew 0-0 in Portugal. 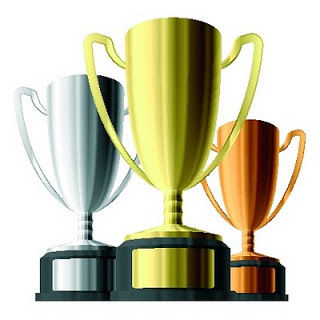 They were the first club to prevent Benfica from scoring on their own pitch in Europe. 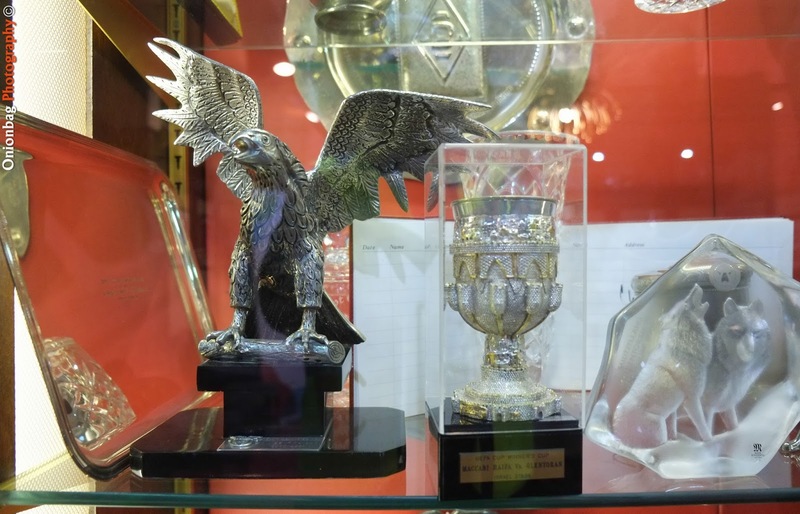 The Boardroom is just magnificent with all the trophies and memorabilia on display, including the solid silver eagle that Benfica presented them taht famous night. Also proudly on display is the Vienna Cup won in 1914 and according to Ricky Glentoran were the first ever British club to win a competition in Europe. Tonights match v Ballymena United was an important one for both sides as the winners would make the last place for the end of season playoffs and possible european qualification. The condition were damp and the rain was intermittent. But it was the visitors who scored a late winner to send the loyal locals home frustrated to the poor end to the season and the failure to make the play-offs. 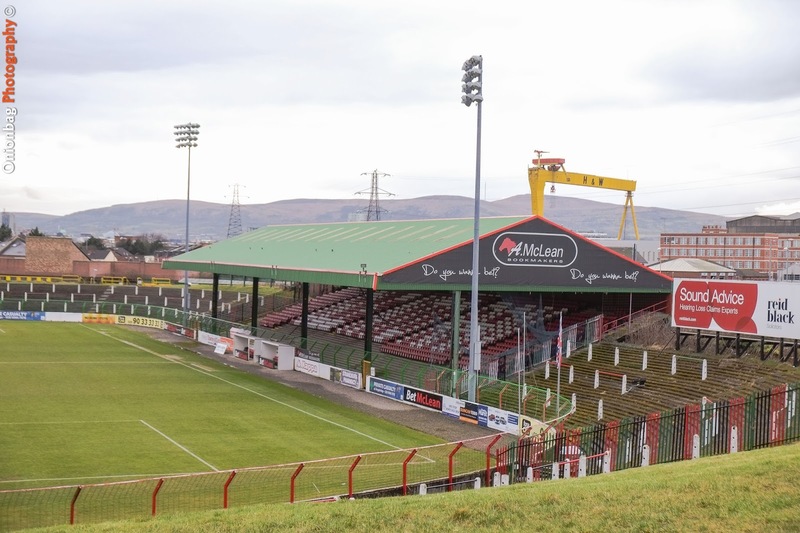 The vast open terraces , the large covered stands , the location backing on to the ship building dock yards, the aeroplanes flying scarily close over the main stand to and from the nearby George Best Airport – Photos of George Best playing for Glentoran hang proudly in the boardroom , along with many others including Danny Blancflower , Billy Bingham etc , a visit to theclub's famous 'Milk Bar' , meeting the locals all make visitng The Oval a very special place to visit , very special indeed.